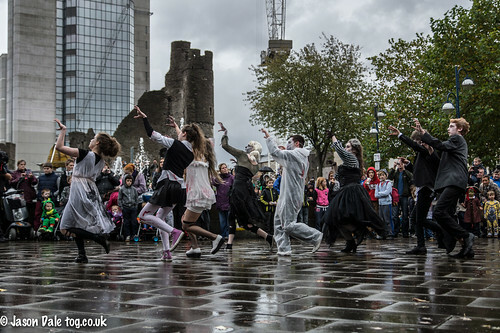 Last week was Halloween and to entertain the crowds in Swansea a number of events took place. This included a Scooby Doo show, Pumpkin Parade and a Thriller Dance ‘flashmob’ in Castle Square. Despite the weather it seemed like a good opportunity to take some shots so I headed down to see the guys and ghouls in action. As it was wet, most of Castle Square was empty until just before the performance – so I managed to find a nice spot and thankfully there were some kind folks who gave me a little bit of space. The only downside was that when the Thriller dance started most of the dancers had their backs to me. 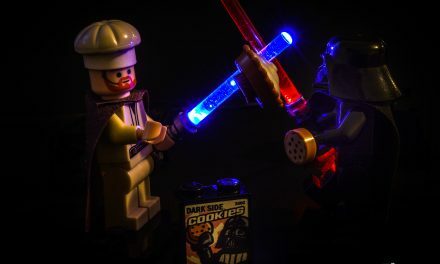 Fortunately I did pick up a couple of nice shots. 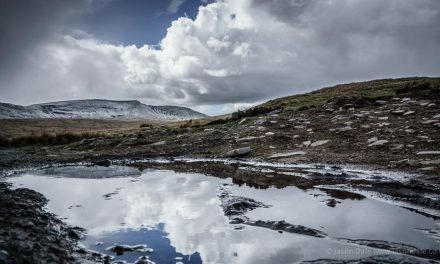 The below is my favourite – I was down low and looking to use the reflection of the water to give a better overall look. The sky has been darkened using the paintbrush in Lightroom and I’ve enhanced the clarity. After the Thriller dance finished there was a bit of confusion as the crowds dispersed – but then the Jermin Productions dancers decided to do it all again – but facing in the direction I was originally photographing. Good news you’d think but I had also moved and they were now all with their backs to me! As I was amongst the crowds I changed from 16-50mm to 70-200mm and opted for some close up shots of the zombie dancers. Most of my focus was mainly on the head zombie (the Michael Jackson in the group). It wasn’t intentional but she did stand out because of her white hair and make up. It’d have been nice to pick up on some of the other dancers but the routine was only a few minutes so there wasn’t much time to be choosy. After the second dance the Thriller zombies left the scene and were eventually replaced by a pack of pumpkins. These were primary school kids all dressed up for the pumpkin parade from Castle Square to Swansea Castle, where Scooby Doo was waiting for them. I decided not to photograph the parade but did manage to get a clear shot of The Mystery Machine.. 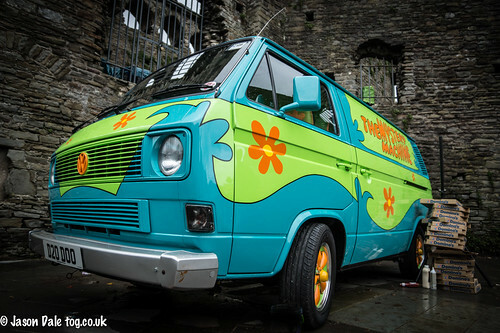 Unfortunately Scooby, Shaggy and the gang had disappeared to prepare for their next stage performance! 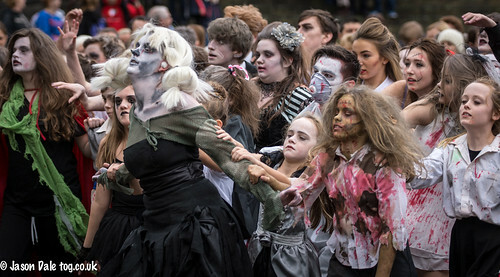 The Thriller flashmob was great fun to photograph – and thankfully the rain held off. 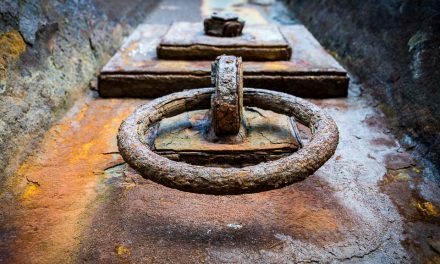 Getting a good position is key – and holding on to it is sometimes a good idea too – but then not knowing what’s happening and reacting to it makes life a lot more interesting.